Create mix-and-match animal jewelry that’s cute and collectible. 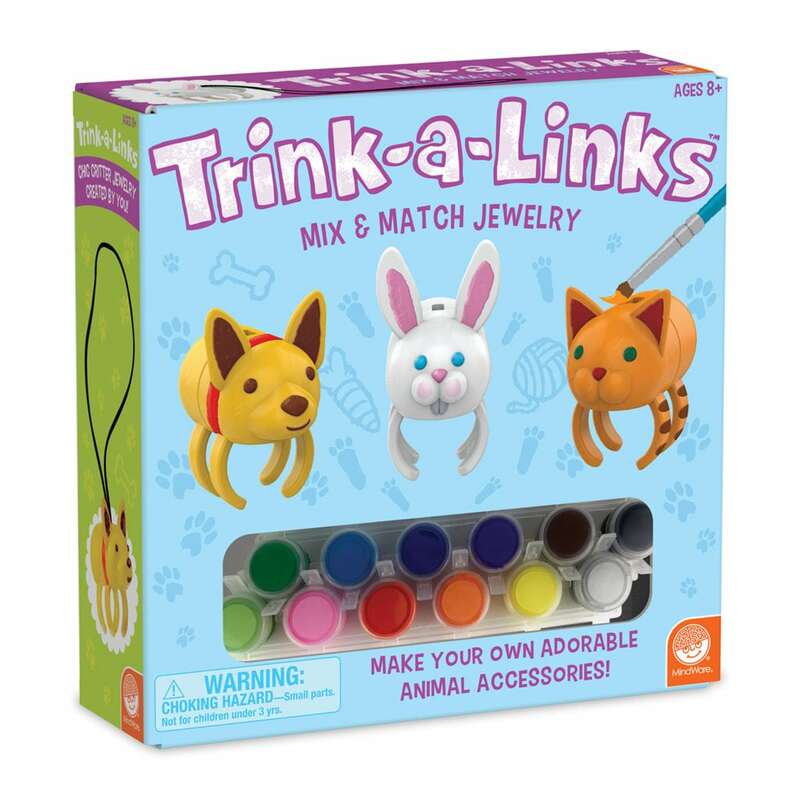 Trink-A-Links are an adorable arts and crafts for kids with a passion for on-trend accessories. Hand-paint the dog, cat and bunny pieces, then choose how you’ll pair them up. Create a purrfect necklace that’s kitten from head-to-toe or design crazy critter pairings like a ring that’s half bunny and half bark. Encourages creativity, self-expression, imagination and fine motor skills. Compatible with Trink-A-Links Farm.